Taken in Ipo River and Watershed in Norzagaray, Bulacan, November 14, 2009 with fellow Philippine Bird Photographers Doc Mando and Bert M., and UP Mountaineer Freddie. On our way back to the entrance while we were aboard a motorized banca, we came across what the folks there, particularly our guide/banca pilot, thought as the Philippine Eagle as it is huge. Based on our documentary pics and the Kennedy Field Guide, however, we are in a consensus that the eagle is actually a Grey-Headed Fish-Eagle. 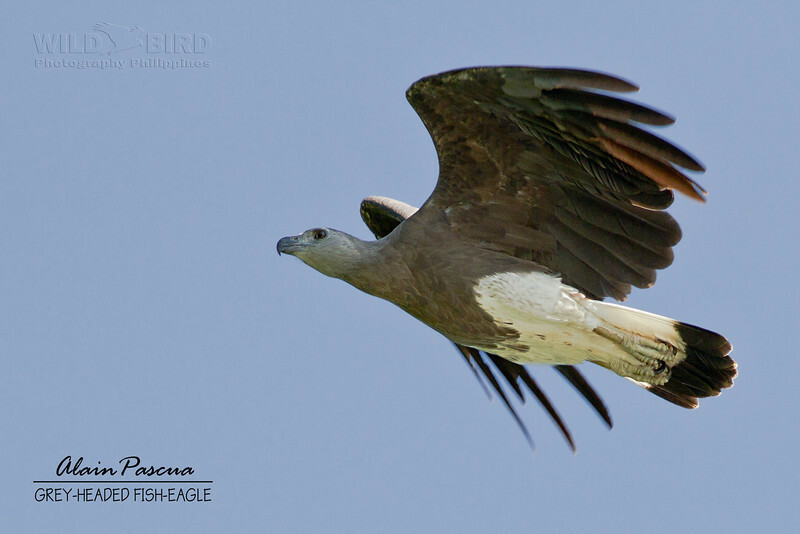 The Kennedy Field Guide says that the Grey-Headed Fish-Eagle is "Rare," while our PBPF Philippine Bird List says it's "Near-Threatened."